Welcome! 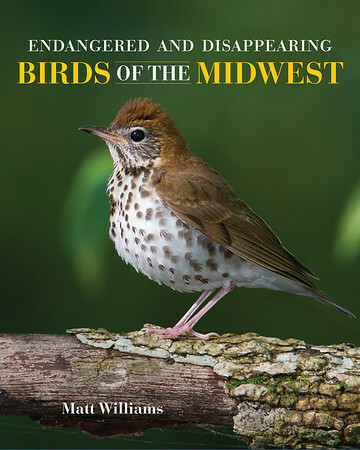 Please check out my new book entitled, "Endangered and Disappearing Birds of the Midwest." This book focuses on forty of the species that could be in real trouble unless further conservation action is taken. I'm proud to share that the book was recently awarded a bronze medal in the "nature" category of the Independent Publisher Book Awards- a competition involving books from nearly 2,500 different publishers from the United States, Canada, England, Australia, and several other countries. Clicking on one of the folders below will take you to different galleries featuring my nature photographs. To find out more about my work, click on the "Recent Projects" page below. To contact me, please click on the "About Matt Williams" page. Thanks for taking a look!